What’s the one thing you shouldn’t do when your boss is your ruthless evil widowed stepmother who hates your guts more than anyone? Kiss the man she’s interested in. So what does Kaitlynn Judge find herself doing? Yep, she kisses the one man her stepmother currently wants, who also happens to be the CEO of the company where she works. After the death of her father, Kaitlynn's life has been stuck in a rut. 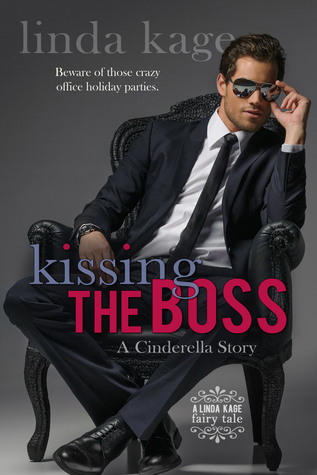 But that begins to change after meeting a dashing stranger during the office Halloween party. Now she has to navigate vengeful stepmothers, meddling stepsiblings, and gorgeous guys in hot pursuit to reach her happily ever after. While making a detour from the fantasy aspect, this contemporary take on the Cinderella story continues to cling to a few of our favorite traditions. You’ll still find the unmerited oppression along with fleeing women, missing shoes, mouse companions, magic wands, pumpkin-like rides to the big bash, and so much more. So rest assured, it’s all familiar and yet quirkily different. After exerting the slightest amount of pressure, making me whimper for more, he drew himself away, sucking in a soft, satisfied hiss as he went. "Damn," he murmured. I felt dizzy and bereft when his heart and intoxicating smell left me. I wanted him back. "That was..." I shook my heard and tried to recapture my equilibrium. "That was..."